This post is dedicated to all those who emailed me and asked many questions about Indian Roti (Chapati). Why the roti is not soft? Why it does not puff? And so on. Indian roti is really easy to make, but there are few things to care for while making the roti. 1- Use the proper flour. You can’t use cake flour to make Indian roti , nor mix it with whole wheat flour. 2- Knead the dough for at least 7 minutes. 3- The dough shouldn’t be hard or sticky. 4- The dough should rest for at least 20 minutes while covered. 5- The pan should be hot when placing the roti, later reduce the heat. Your roti will not be soft if you placed it on a cold or warm pan even if it puffed. 6- When the roti is done, apply oil (if you wish), stack the rotis, and cover immediately. Exposing the roti to air makes it dry. 7- Store in air tight container. 8- When heating the roti in microwave 10 – 15 seconds should be enough. 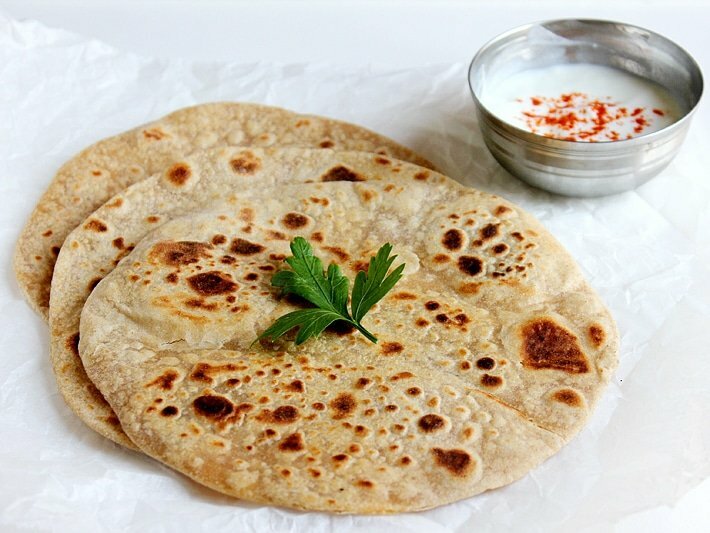 9- I’m sorry to say this, but nothing beats a fresh chapati (roti). So if possible try to eat it the same day. - In a large bowl, add flour and salt. Mix well. - Add water gradually and knead until you get a soft dough. The dough shouldn't be sticky. - Rub the dough with 1/2 teaspoon oil and cover. Let dough rest for half an hour. - Knead the dough for few seconds, divide dough into 8 balls. - Dip ball in flour. Using a rolling pin, roll the chapati to 6", the chapati must not be too thin or it will not puff. - Heat the pan and place the rolled out chapati on it. 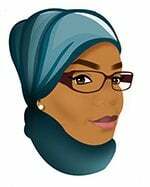 - When you begin to see raised bumps on the surface, flip the chapati. - When the bottom side gets light brown patches, flip the chapati again. 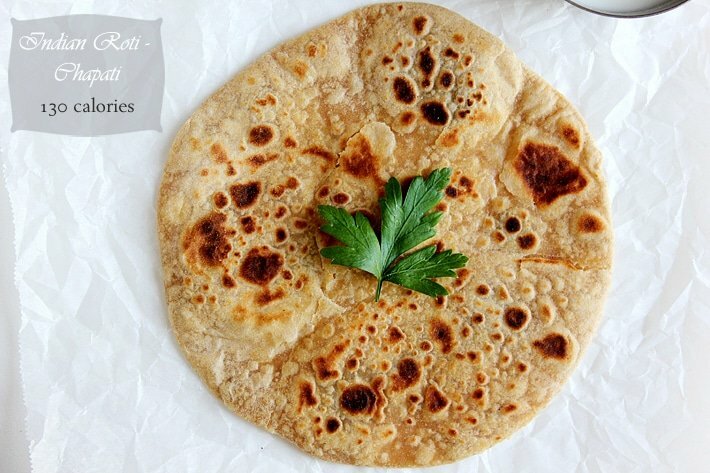 - Gently press the chapati around the edges, using a spatula or a cloth. This will help the chapati to puff. - When the chapati puffs, this means it's done. The steam will quickly come out of the chapati. - Stack the chapatis over each other, this will keep it soft. Cover with clothes. : The chapati will absorb all the oil quickly. : The chapati will be hard and chewy if not eaten within few hours from making it. : If you want the chapati to stay soft longer, replace 1/2 cup of whole wheat flour with all-purpose flour. 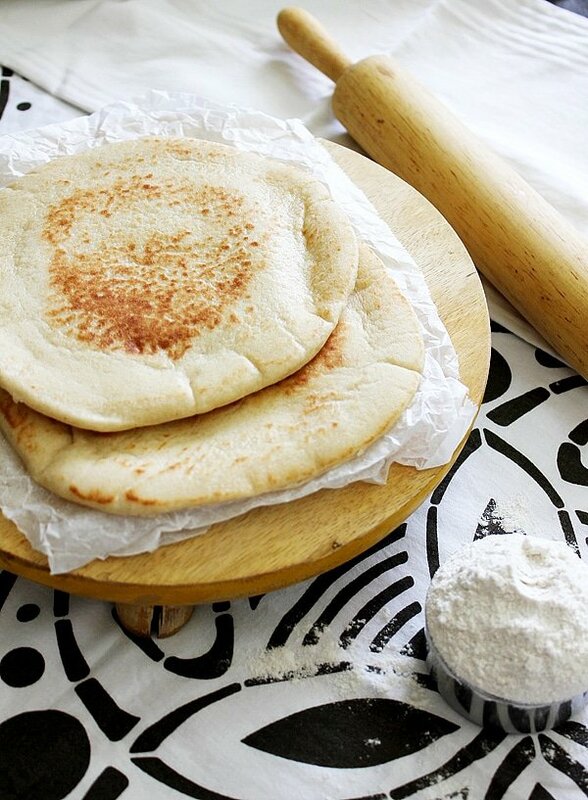 Love back to basics posts like this…these flatbread look perfect, Muna. I love how simple it is to make this bread! Perfect and ever so tempting! I make them when I am not working.. 🙂 my husband loves them. I had no idea it was this simple to make chapati. I once watched someone make some and they worked some ghee into it too. Boy was it delicious. Now I’m drooling and it’s midnight! 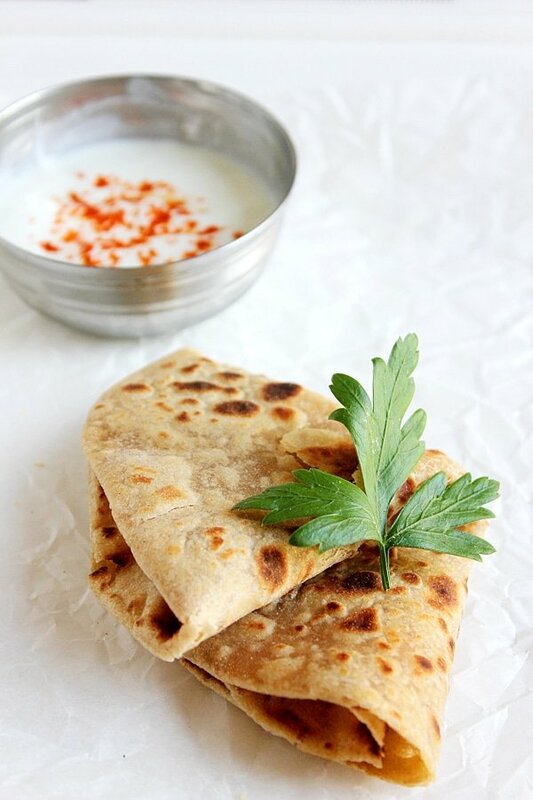 Chapati tastes great when piping hot and served right away.